new book during a special function where the book was launched. The great country of India, with over one billion people, has published two books about Napoleon and several other editions are planned in various Indian dialects, which are all spoken in India. 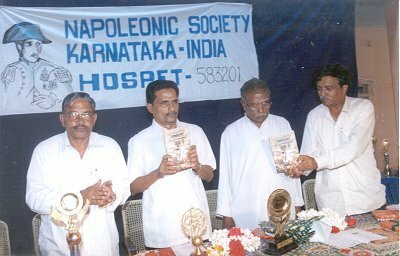 They have just published, in the Indian language, “The Murder of Napoleon", which gives the complete story about the poisoning of the Emperor. The other book published, also in the Indian language, is about the story of Napoleon and the truth about him, without any lies. 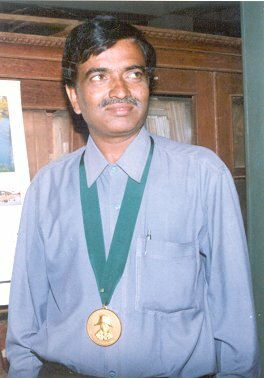 which is the most prestigious INS award. The INS thanks Prof. Vijay Kumar for his dedication and devotion to making the truth about Napoleon known throughout India, in its various Indian dialects.